Grids are getting an early start on the holidays this year, with a number of winter-themed regions already up and ready to visit, and a full calendar of events planned across the hypergrid. This year’s Tangle Winter Expo will run from December 1 to January 13, 2018. Visitors will enjoy skating, sledding or skiing. The expo will also feature exhibitions from creators, builders and merchants all around OpenSim. Those interested in showcasing, promoting or selling any items at the expo should contact Leslie Kling in-world or via email at [email protected] for more information. 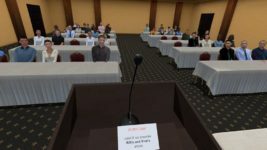 The event might expand in future to promote OpenSim in general by showing newcomers what OpenSim has to offer. Mystery Creations just released a new Christmas-themed collection. 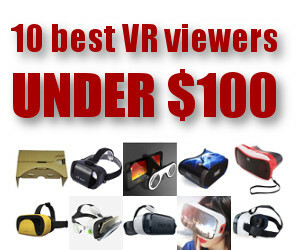 You can buy lovely unique garden, decor, landscape, furniture, animals, fashion and even avatars for the holidays. You can also get freebie items from the more than 100 awesome free group gifts at the region. The hypergrid address is login.greatcanadiangrid.ca:8002:Mystery Creations Gloebits. Kroatan Grid will join forces with Virtual Life EU and KiWo grids this winter season for an advent event. It will run from December 1 to January 6. One new door will be open every day until December 24 and give participants notecards and landmark addresses where the advent gift of the day is hidden. Some regions will have parties at the same day. Then, all doors will be open from December 25 to January 6 and participants can still get notecards and landmarks from all doors. 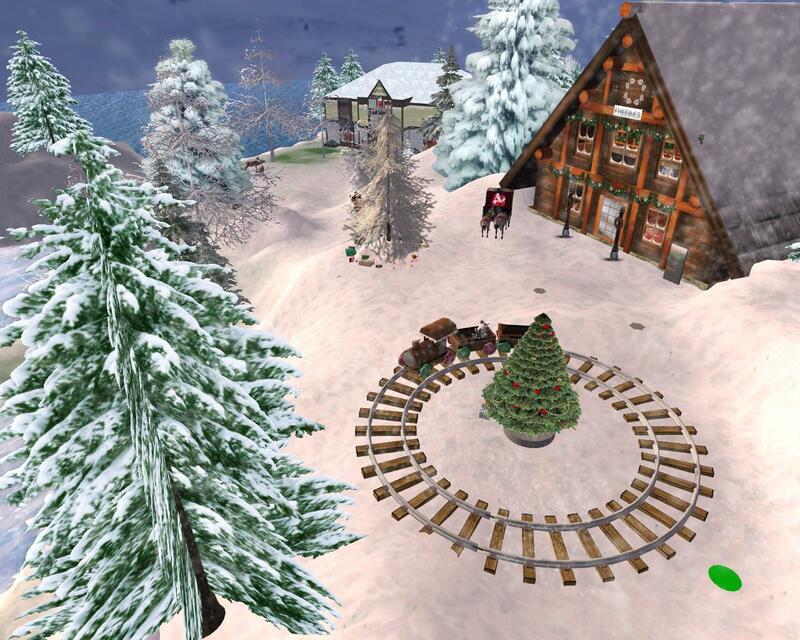 Virtual Life EU: virtual-life.eu:8002:XMas. This is an adult region and no child avatars allowed. 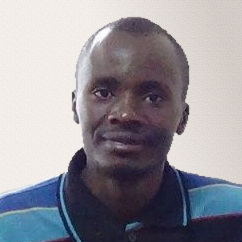 The minimum avatar height allowed is 1.56 meters. Christmas Island Holiday region in Littlefield opens 6 a.m. Pacific on Sunday, November 26. You can visit the island for some sleigh rides, Santa workshop, ice skating, free Christmas gifts. The grid will also host a Christmas Dance Party on 8 p.m. Pacific on Friday, December 24 at the same island featuring live DJ, dancing, food and drinks. 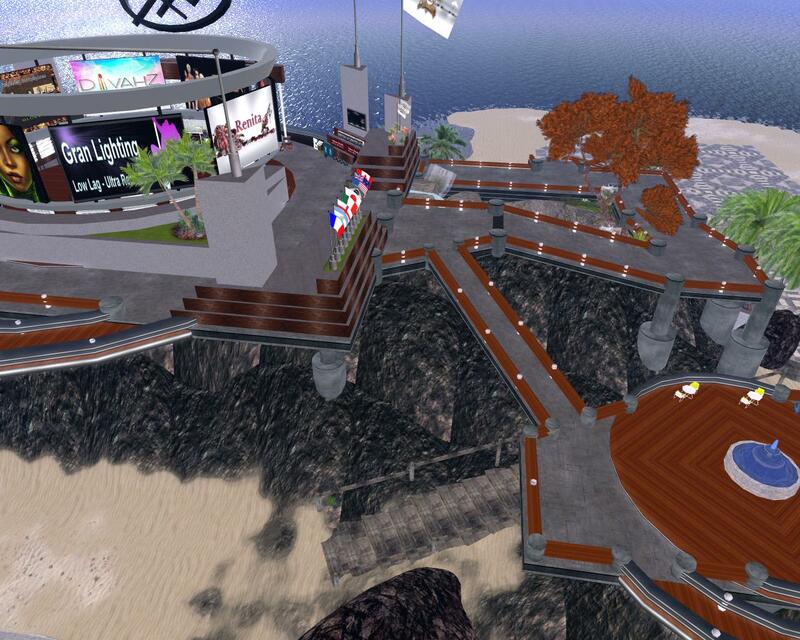 The hypergrid address is lfgrid.com:8002:Christmas Island. 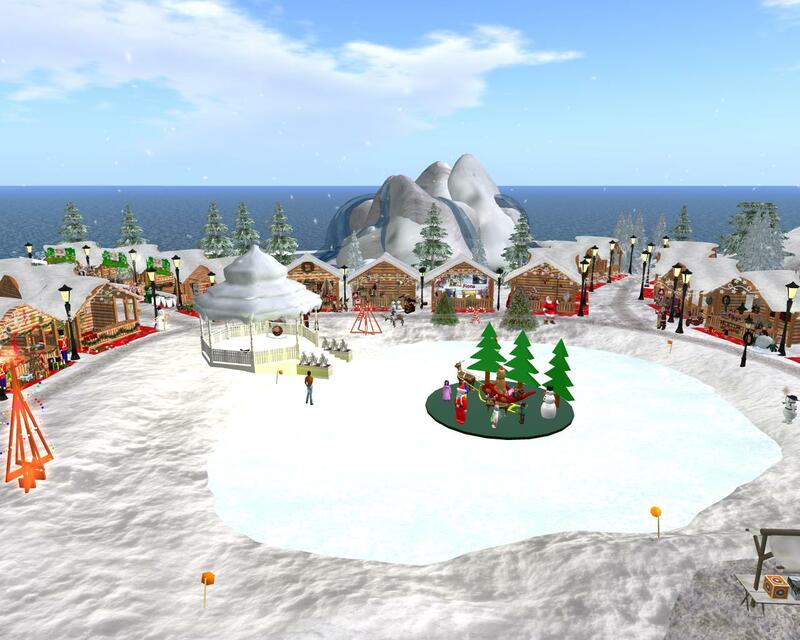 DigiWorldz‘s Bandits area is decorated for Christmas with 16 regions of snow and ice with nice spots to sit wearing a warm winter coat. 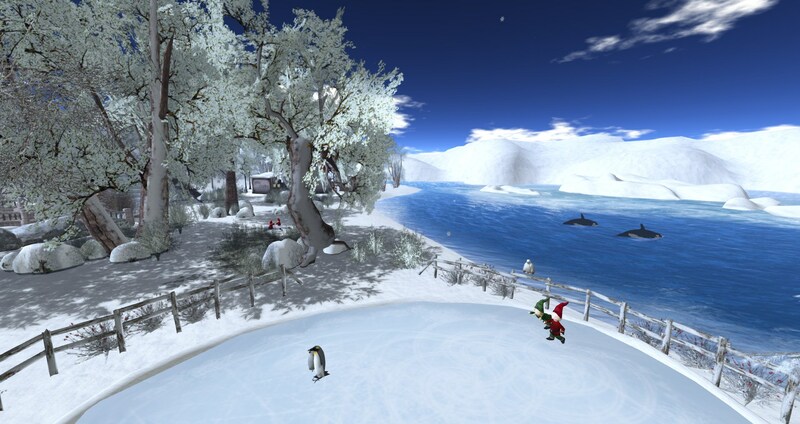 OSgrid has a Winter Paradise region that offers holiday freebies including Christmas freebies. The region offers great views for winter and you can enjoy winter related activities. Craft World has a region named Christmas Spirit that will be open from noon Pacific on November 25 to January 7 with a Christmas Market where you can pop in for Christmas market for some Christmas-themed freebies, dance and music to help get in the Christmas mood in time. If you would like to donate some items for the Christmas Market, contact Raffaele Macis, who is known in-world as Licu Rau. 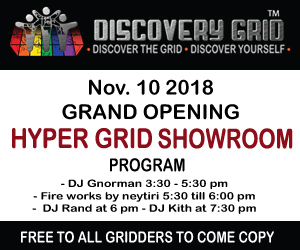 The event is open to all hypergrid visitors. The region will host a Christmas celebration at 1 p.m. Pacific on Thursday, December 21. It will be time to exchange Christmas wishes and gifts and party together. 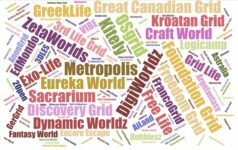 The hypergrid address is craft-world.org:8002. Baller Nation will host first annual Ball Room event at 2 p.m. Pacific on Saturday, December 16 at the Winter Wonderland Ball, a winter-themed sim that has been decorated by Baller Nation staff members. 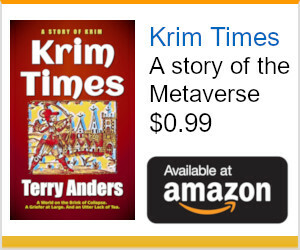 Participants will need to put on their best gown tuxedos to attend the vent. 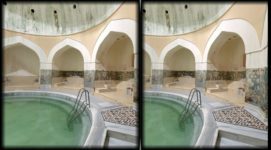 Apart from the dinner, event, you can also visit the region to enjoy ice skating and winter lodge retreating. The sim opens to public on December 1. Drip Drop told Hypergrid Business. The hypergrid address is login.ballernation.us:8002:Winter Wonderland Ball. The first region, Crystalwind has the Santas Village, a perfect little snowy village complete with a toy shop and a Xmas shop that has many free high quality items. The second, Scorpio, an urban themed Portland Share also has freebies including furniture and decorations. It also hosts a Christmas Market whose tents has beautiful holiday decorations and decorated Christmas trees that you can take for free. 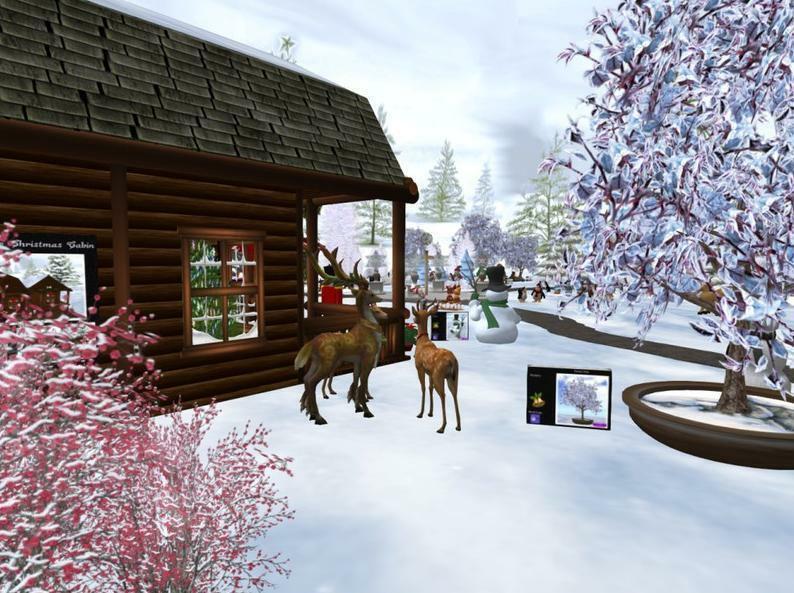 “This is the place to come to find gifts for your friends and family, and to find scrumptious decorations for your virtual home, and to take memorable photos in many winter themed settings,” grid owner Govega Sachertorte told Hypergrid Business. Other regions which are already themed for Christmas include Crazy Houses at Party Destination Grid on partydestinationgrid.com:8002:Crazy Houses and Metropolis grid on hypergrid.org:8002:BRBP. The Novale region of the CreaNovale grid is decorated with Autumn colors for anyone to celebrate the Autumn. The hypergrid address is hg:creanovale.ca:8052:novale.